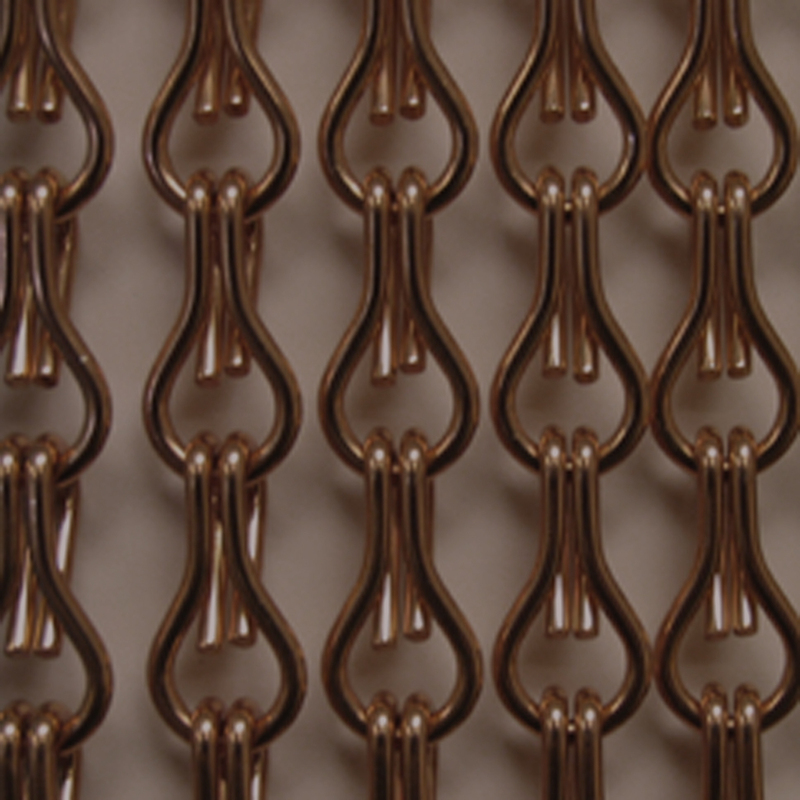 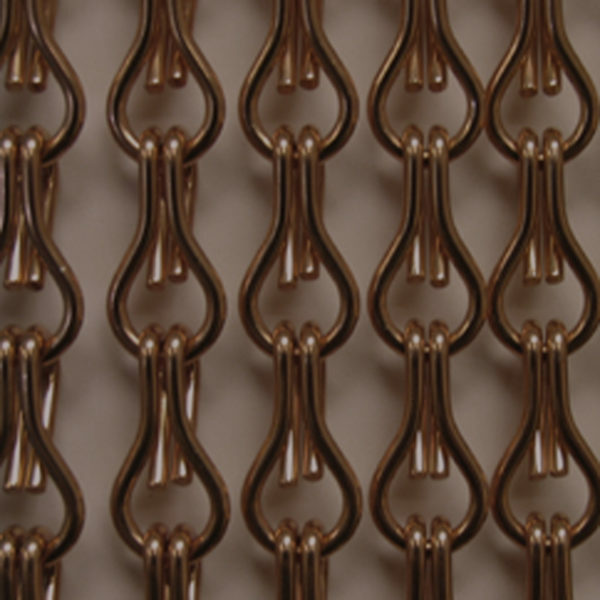 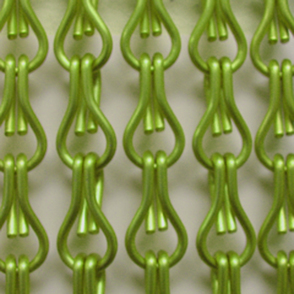 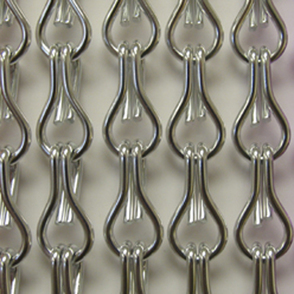 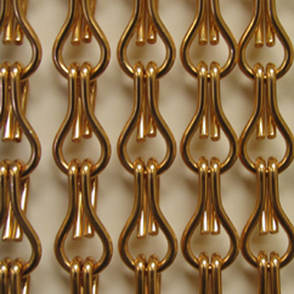 Open chain links for curtains and dividers, 100% aluminum, resistant to UV light. 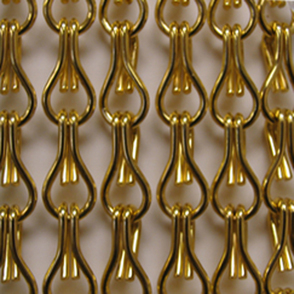 Stocked in Gold and Silver. 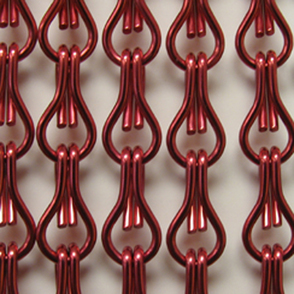 55 linear yds (6.8 sq. 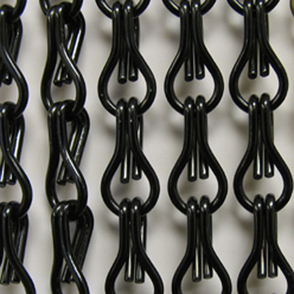 ft.) per bag. 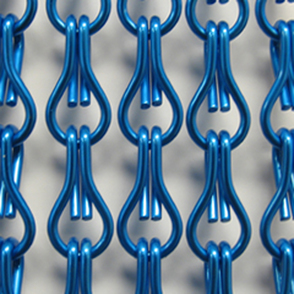 All other colors are special order, 6-8 weeks lead time. 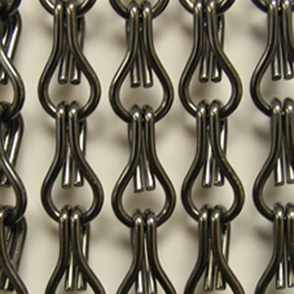 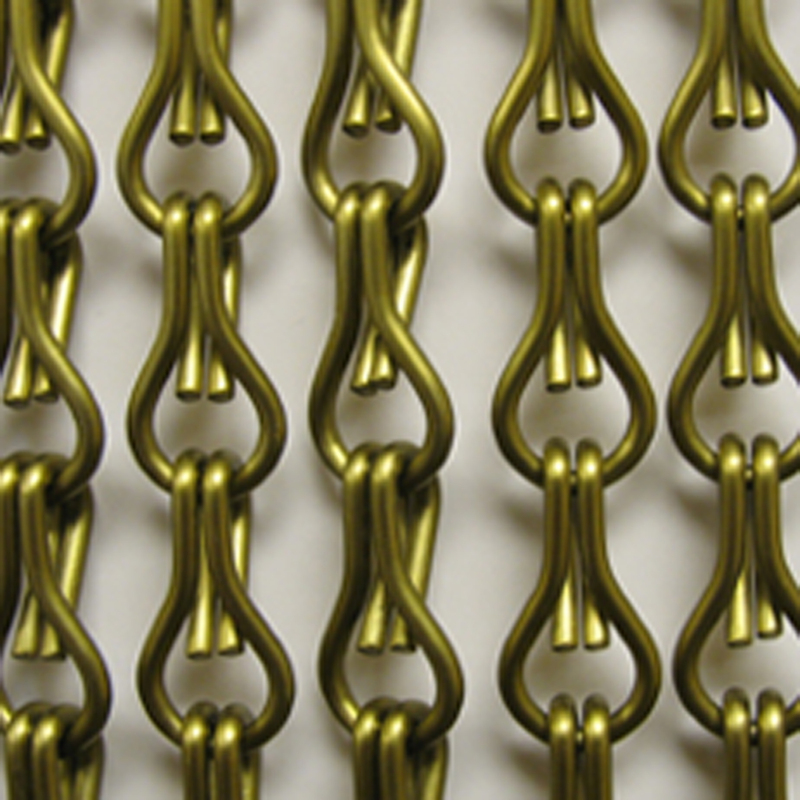 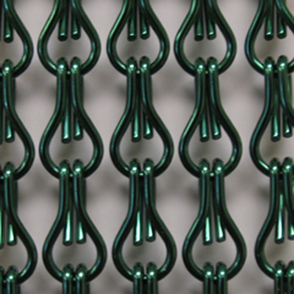 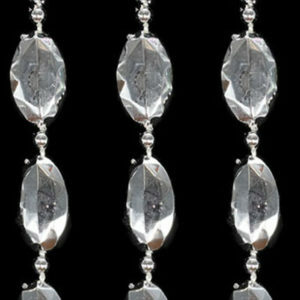 Lightweight metal Chain Link strands are durable and reflective. 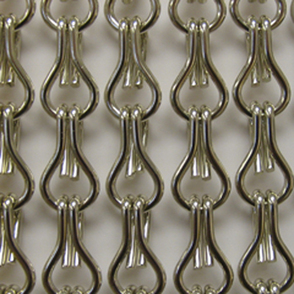 It’s made of 100% aluminum with pigmentation achieved through anodization. 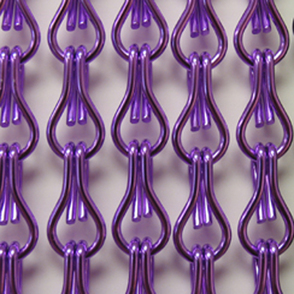 Colors are resistant to UV light and exhibit only minor color loss in outdoor settings. Each link is 3/4″ high and 1/4″ wide (at widest part). 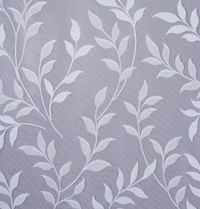 Can be used as a curtain or panels indoors and outdoors. 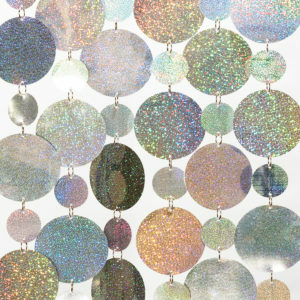 Great for video mapping applications. 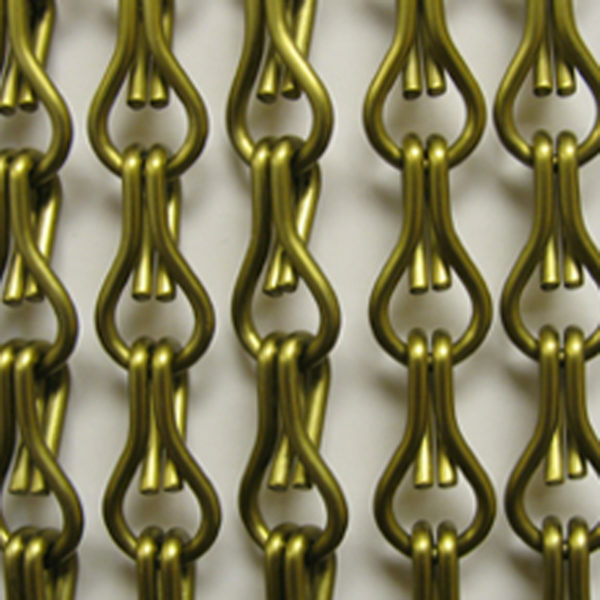 Each link can be opened for size adjustments.